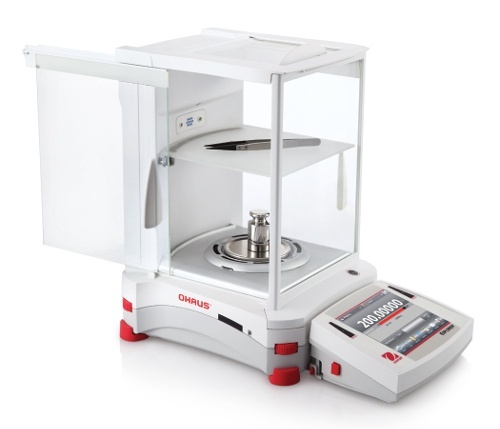 OHAUS Explorer Semi-Micro Balances – Accuracy and Precision Made Convenient. Every analytical scale will feature accuracy and precision, however, OHAUS Explorer Semi-Micro Balances have the software, hardware, and design to ensure that users can be sure their measurements are reliable and that they can collect data quickly and ergonomically. AutoCal internal calibration runs in the background to make sure that if ambient conditions change or enough time passes, future readings will continue to be accurate. The AutoCal system can perform calibration with two internal weights, even if operators do not have the equipment to do so themselves. A High Speed Single Module weighing cell allows the Explorer analytical scales to perform ultra-fast, as low as 3 second stabilization. Four touchless sensors give operators the versatility to perform common weighing operations with only the swipe of a hand. 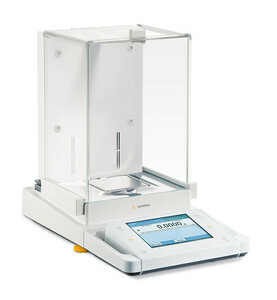 Introducing the Benchmark Accuris Tx Analytical Balances series. The perfect balance of performance, design, and quality. Now with an upgraded weighing performance and refined control panels. These Benchmark Accuris Tx Analytical Balances have had their weighing performance upgraded with electromagnetic force restoration technology. 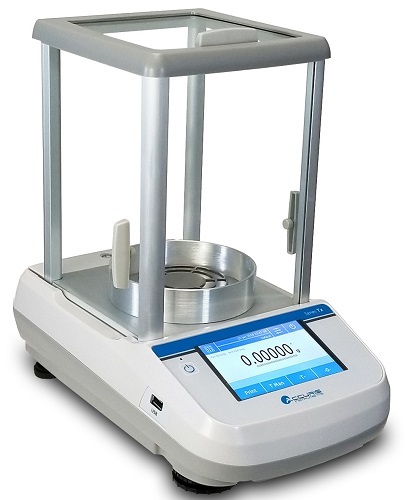 This lends the Benchmark Accuris Tx Analytical Balances to fast response and weight stabilization, and automatic internal balance calibration for ease of use. The Benchmark Accuris Tx Analytical Balances now have further refined control panels with an enhanced color touch screen interface that significantly improves the ease of use of the unit for scientists, for quick and accurate weighing. The Benchmark Accuris Tx Analytical Balances are ideal space saving units for labs that need a balance but are short on space. The carefully redesigned weigh cell assemblies of the Benchmark Accuris unit has allowed Benchmark to pack even more technology into the compact and tidy 8 x 15 inch unit footprint. Sartorius Cubis Balance is the ideal balance for pharmaceutical labs as well as any lab looking for a high capacity lab balance. It is the first balance that automatically checks, performs and documents its exact leveling. You can choose from thousands of options to configure your Sartorius Cubis Balance to perfectly meet your needs. More than any other balance on the market, the Sartorius Cubis Balance adapts to your needs – it enables faster and more efficient work. With a multitude of optional accessories, it can increase your productivity and adhere to your specific requirements. Ideal for pharmaceutical laboratories who work under strict regulations and requirements.